Inspired by their grandmother, who hails from New Zealand, and her culinary traditions, two ambitious farming brothers have set up their own unique diversification. Lauren Dean meets the Tigg’s team. Walking onto the Herefordshire estate where Tigg’s is based, it is clear this family means business. Even better for brothers Jacob and Sam James, business means family, as family is where their farming adventure begun. Jacob, 25, and Sam, 29, explain how their granny’s decision to move from New Zealand 70 years ago laid the stepping stones to where they find themselves today. Just one simple recipe from Granny Tigg, as she is so fondly talked about, triggered the entrepreneurial light-bulb moment which helped encourage a wholesome and healthy brand to escape mainstream produce and wake up what the brothers called a ‘fairly standard shelf space’. Their Instagram profile sums their philosophy up perfectly, two farming brothers out to share their granny’s recipes with the world. 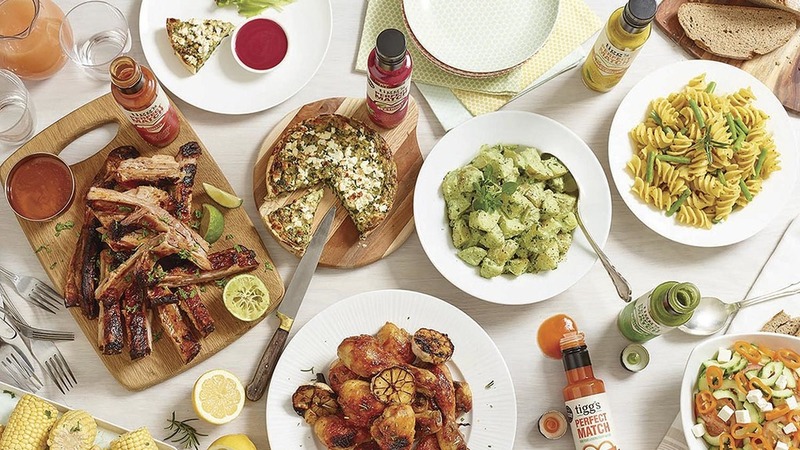 Older brother Sam says: “Ultimately, this is where we change what dressings mean.” Sweet Original is part of a fivestrong product portfolio and after recently rebranding then introducing Smokin’ Tomato last month, the range has rocketed. It is immediately clear to see how the pair have fallen in love with their brand. Despite Granny Tigg still being at the forefront of their business, the brothers decided to run with just her nickname in an attempt to reach something a bit more appealing and shelf-worthy. 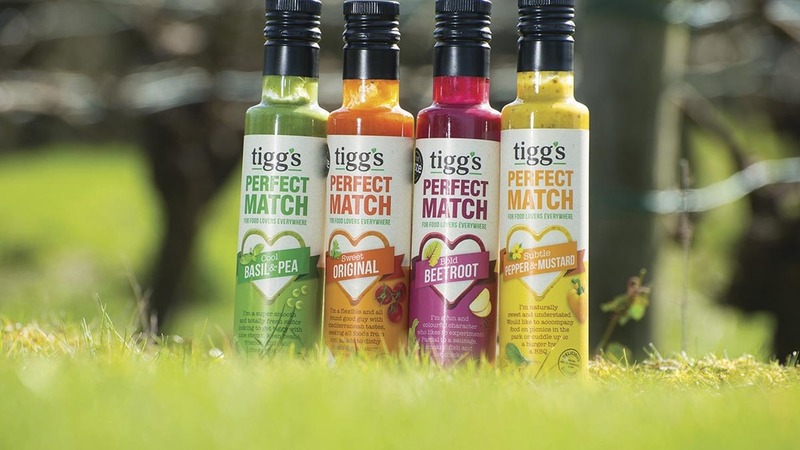 The sauces became a business idea after Granny Tigg’s original dressing became a hit in the family’s cafe, where their mother Alex would use it in her recipes. The taste took off thanks to its versatility for use in salads or with meat on barbeques, and after people piled through the doors to get a taste of it, the sauce was soon bottled up with home-made labels which read as ‘Granny Tigg’s sauce’. And even though the recipes were first made in a New Zealand farmhouse, what is in the bottles today is almost exactly the same. The brothers grow fresh radish, lettuce, tomato, strawberries, potatoes and leeks to use in their recipes, but for a wider selection of produce they also source from local farmers. Sam adds: “Granny’s key ingredient is cider vinegar, which is great living in Herefordshire. “It is very good for you, so we have kept this as a base ingredient. The boys pride themselves on sourcing produce from local farmers and they dream to one day grow every ingredient for the sauces. But their plans do not stop there. Jacob says: “We took the recipe to university and people started nicking it. That was when we first thought it could be a business. We had the opportunity to start something and decided it was the right time in our lives to do it, when we have energy and enthusiasm.” Again, the brothers spend time recalling their childhood and what they remember as ‘happy times’ and the healthy eating which helped inspire the brand. They are keen to ensure their sauces are, in Sam’s words, all about colour. Sam explains: “We learned you can create your ideal customer, but the customer you know best is your own age group. “No-one is creating sauces which appeal to the younger generation who are very conscious of what they are eating. The cheeky branding they have worked on radiates their personality and passion for the agricultural life they have been brought up on. Their level-headedness and respect for the industry has transformed them into the hard-working businessmen they are today. Whether preparing ingredients in the kitchen, making the sauces, filling the bottles, loading the truck and spending days at food festivals, the brothers do it all. “Sometimes it can get difficult because we are busy trying to cope with the farm, especially at harvest, but this is obviously a busy time for food festivals too,” says Sam. “So throughout the week it is a case of ensuring we have enough sauces made and we have all the labels in stock so everything is in the right place at the right time, but we are also in the fields getting the harvest in and managing it. Jacob adds: “We’ve planned every step. It is not as if we just had a big lump of money and just charged ahead. Everything we do is thought out quite substantially and there is a list of what we are doing and when we can do it. “I think the key lesson for us, both personally and for the business going forward, was to look after the pennies.” Although the business is firmly based on the family, Sam and Jacob have expanded their operation with the help of farmer friends to ensure the production line works a bit quicker. Before the move, Sam and father Mark acted as the filling machine, bottling sauces with just a funnel and a plastic jug. The father-son workmanship helped bring the brand voice to life and the play on cheekiness which would differentiate Tigg’s from any other typical sauce. Jacob says: “It was pretty good. We looked into getting a filling machine and they all said they could do six bottles a minute, but this was with some sort of conveyor belt and a bottle. But Dad and Sam were on it. They were doing seven bottles a minute.” Sam adds: “We could beat the machine, so why not keep going?” Following in the footsteps of its colourful brandmates Sweet Original, Cool Basil and Pea, Bold Beetroot and Subtle Pepper and Mustard, the new Smokin’ Tomato sauce came about as a result of consumer demand. But, of course, hitting the young adult demographic comes with its challenges. Wanting to ensure ingredients are free from gluten, dairy and nuts, while also being suitable for vegans, it can be hard to do all this while maintaining flavour. Sam says food festivals often opened a can of worms, with health-conscious youngsters looking to follow free-from trends. Food festivals helped the pair get where they are now, finding out what appeals, what doesn’t, and what competition is out there. 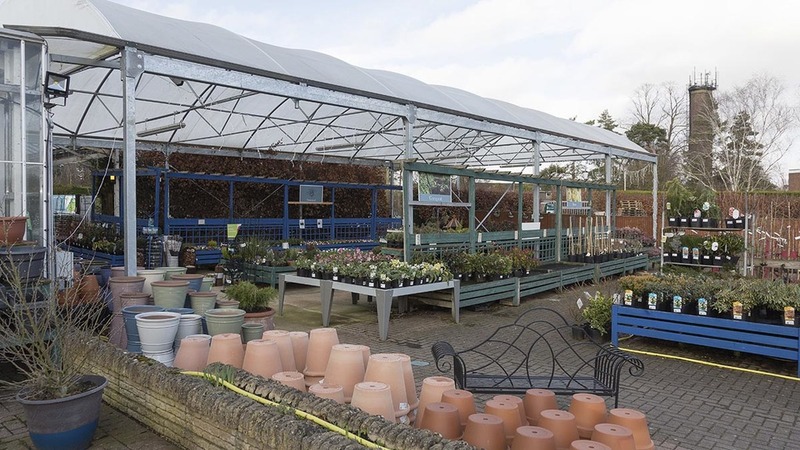 All being well, the bottles will soon be sold in high-end farm shops and supermarkets but they are also seeing good trade on their website and with online retailer Ocado. More importantly, the brothers thank agriculture for their journey to food success. “Diversification is a requirement for modern day farming and agriculture. Being open-minded to see we have a modern or different way of farming to make it viable,” Sam says. “It is something we can build and do ourselves. I think people love the family aspect and this is important to us. I think this is quite true for most farms, they are family businesses which survive by sticking together through difficult times. “You have to be flexible, and this is where you can call on the strengths of family to help out. Sam and Jacob are keen to ensure their brand has a specific tone of voice, encouraging its recognition through use of social media platforms such as Twitter, Instagram and Pinterest. Jacob says: “Targeting a younger audience enables our brand to spread quicker on social media. “Using euphemisms for food and relationships is proving quite successful.” But it has not come without its hurdles. Sam adds: “I think we are now getting to a stage where we need a bit of guidance. “There is so much content online nowadays. The first challenge is making somebody stop and the next is to make them click on it, and we do that by having something which is interesting and consistent. Previous: Trailers: hire or buy to carry the load?